Club photos can be found on the club Facebook page, for convenience of our members. Find more photos on the Sweetwater Rendezvous and Drifting Goose Rendezvous pages. 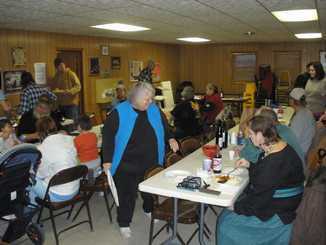 The club enjoyed their annual cabin fever party on the last Saturday of February at the Aberdeen Township Hall. 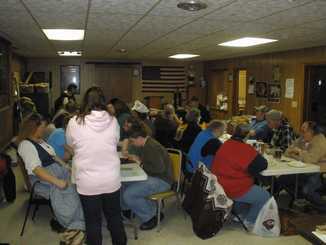 It was a full room for the potluck and prize drawings. 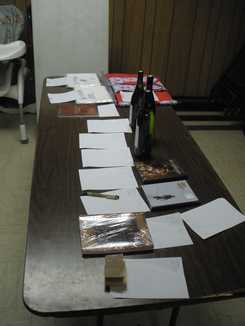 Speaking of prizes, there were numerous tempting auction prizes. Many old and new members enjoyed sharing stories and club memories. Ellendale Youth "Do and Discover"